Smallcakes: A Cupcakery and Creamery, was founded in 2008 in Kansas City, MO by Jeff Martin. In 2010, after appearing on the first season of Food Network’s, “Cupcake Wars”, a second Smallcakes location was opened in Kansas City. The Smallcakes brand and delicious taste continued to gain national attention after appearing on the hit daytime talk show “The View,” as well as the second and seventh seasons of Cupcake Wars. This afforded Jeff and his “Smallcakes” the opportunity to cater the gifting suite at the MTV Music Video awards, and other celebrity events. 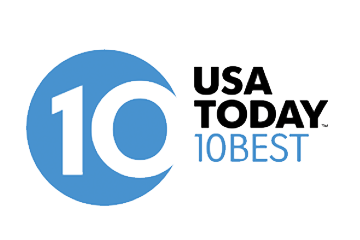 USA TODAY named Smallcakes as one of the Top 10 places to try a cupcake. In 2015, Restaurant Business Magazine, named Smallcakes one of the fastest growing food brands in the United States. Smallcakes believes in its slogan of “Maybe a Cupcake Will Help?” To date, Smallcakes has many locations in the United States and abroad. We opened our doors in Fayetteville as a part of the Smallcakes family on 17 August 2017 in the Fayetteville Commons Shopping Center on Skibo Road. Smallcakes Fayetteville is a locally owned and operated franchise. All of our cupcakes and ice cream are made by hand, in small batches, each and every morning in house! Everything we sell is made in our store and we do not sell day old product. We look forward to seeing you at the store soon.